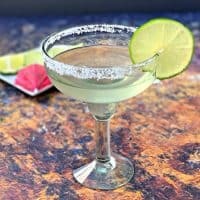 Keto Low-Carb Classic Skinny Margarita Cocktails are the best sugar-free drinks that are low in calories! There is 1 net carb in this margarita on the rocks. Restaurant margaritas are loaded with sugar and carbs. 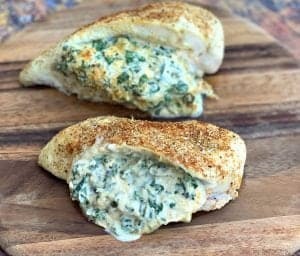 Ditch their version for homemade! 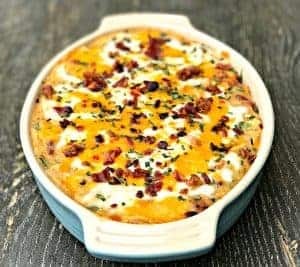 Keto friendly cocktails can be difficult to come by if you aren’t armed with the appropriate information. 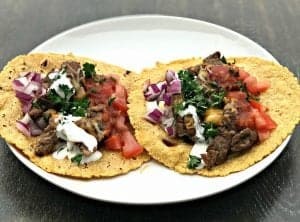 This post includes tips on how to make your own drinks and also how to order when you are dining out in restaurants and/or bars. Are Margaritas OK on Keto Diet? 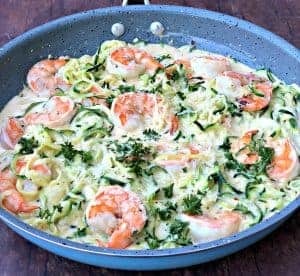 Are Margaritas Keto-Friendly? 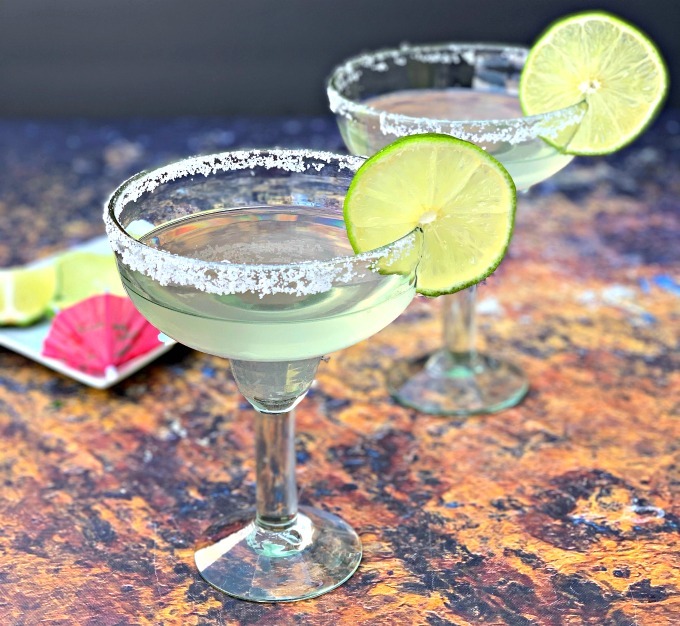 A typical margarita is not keto-friendly. Most average about 500 calories and are loaded with refined sugar and sometimes high fructose corn syrup. 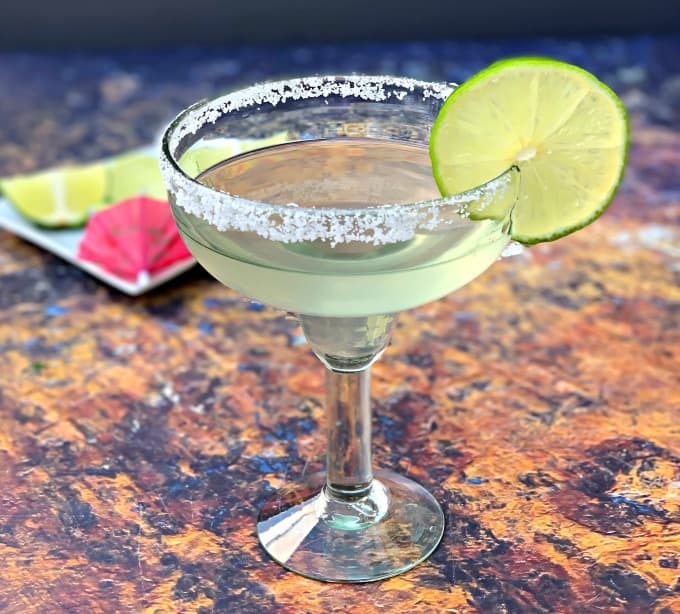 You can make your margarita keto-friendly by using natural ingredients. 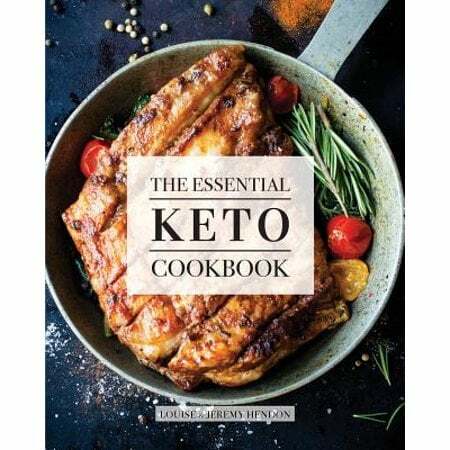 How to Make Keto Margaritas? 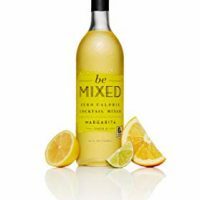 Gather your tequila, Be Mixed Natural Margarita Mixer, and a lime. 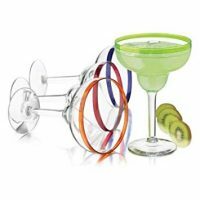 Line the rim of a martini glass with lime and salt using a glass rimmer. 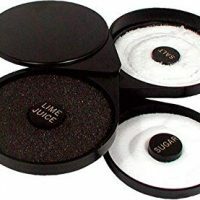 This post on How to Order a Skinny Margarita suggests that you first establish clear communication with the bartender and make them aware you do not want any sweet and sour mix in your margarita. Make sure they don’t add any agave nectar either, as that is just pure sugar as well. Tell the bartender you want nothing but tequila and club soda. And then you want a slice of lime to squeeze into the drink. What Makes a Skinny Margarita Skinny? 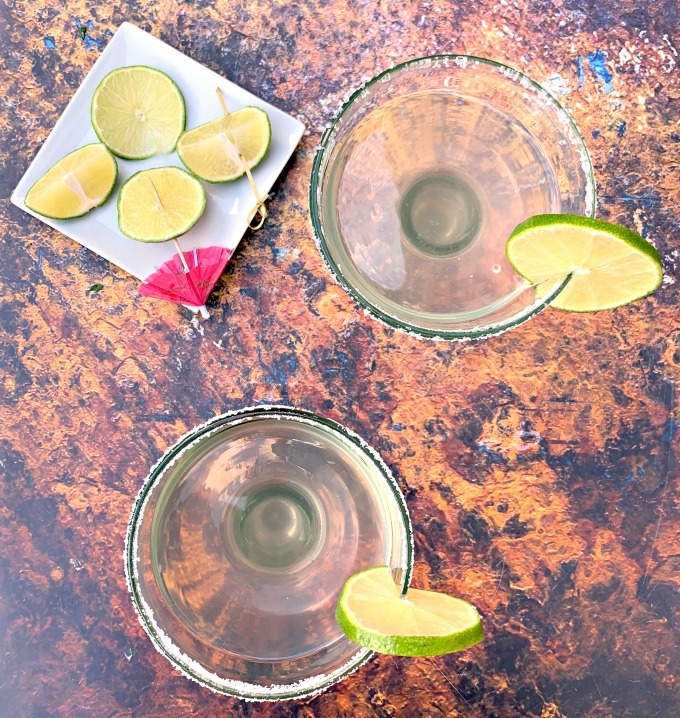 A skinny margarita typically omits the sweet and sour and other syrup which is high in calories and carbs. Sometimes orange juice is used instead, usually the focus is on calories and not net carbs (for which orange juice will not work for keto). You can read more about The Difference Between a Margarita and a Skinny Margarita here. How Many Calories and Carbs Are in a Skinny Margarita? 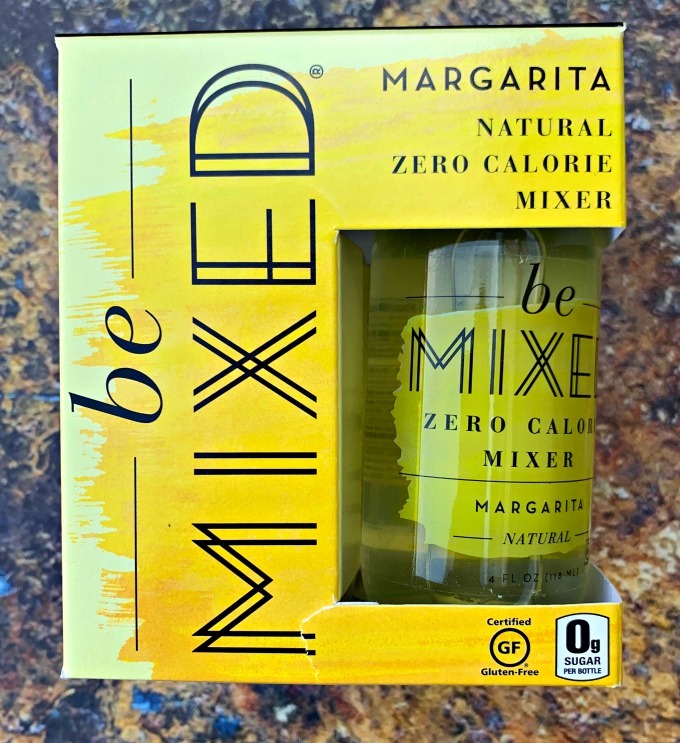 This skinny margarita has 96 calories and 1 net carb. How Many Calories Are in a 12oz Frozen Margarita? The frozen margaritas from Chili’s Restaurant have 200-500 calories and 30-50 grams of carbs per cocktail. The SkinnyGirl Margarita store-bought brand has 2 grams of carbs. 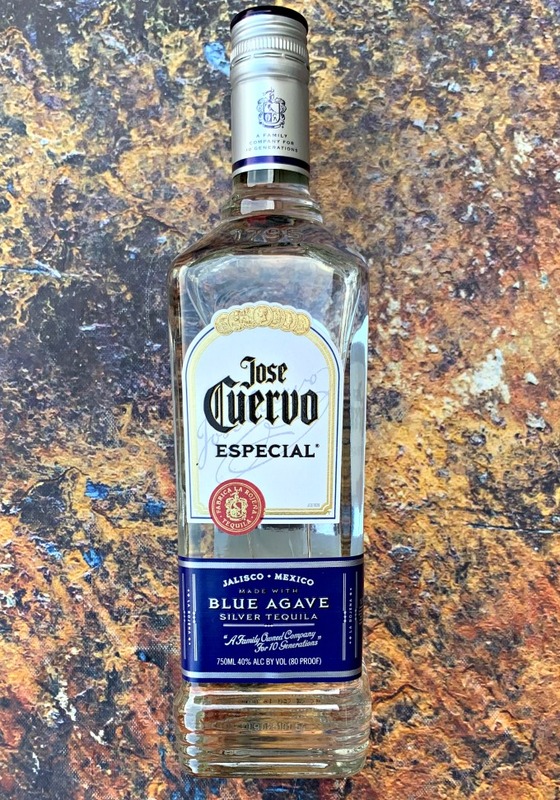 The drink is lightly sweetened with agave. Will Alcohol Knock You Out of Ketosis? While I’m in ketosis one drink will usually do me just fine. I’m the type of girl who typically enjoys a few cocktails when I’m out for a good time. A keto lifestyle is completely different. You will feel the effects of alcohol a lot sooner. This is due to a change in metabolism and depleted glycogen. In general, while on a healthy lifestyle alcohol can inhibit results if you are trying to lose weight. When you drink alcohol your liver will use the products of the metabolized alcohol instead of fat. Which means instead of burning fat, your body is working to get the alcohol out of your body. Occasional drinks should not harm results. If you drink often during the week or every weekend, you could be slowing your fat-burning process down. Read more about If Alcohol Will Knock You Out of Ketosis here. 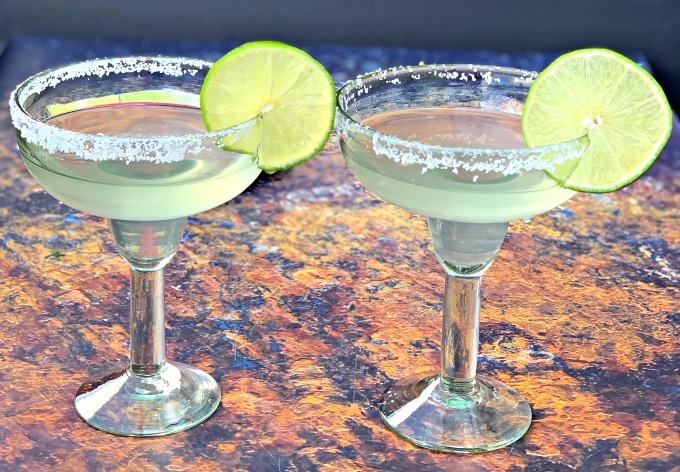 Pair these margaritas with Homemade Guacamole, Keto Taco Bowls, Keto Barbacoa, or Keto Cilantro Lime Cauliflower Rice. Add one tablespoon of fresh lime juice and kosher salt (enough to line your margarita glass) to a glass rimmer. 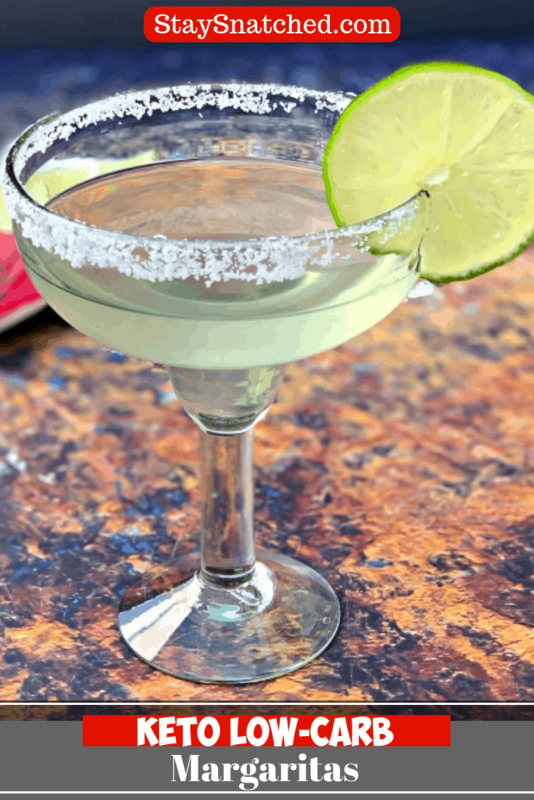 Dip the margarita glass in the fresh lime juice and then the salt to line the rim of the glass. You can also use sweetener. Next pour in the tequila, Be Mixed Margarita Cocktail Mixer, and one tablespoon of fresh squeezed lime. Shake the cocktail for several seconds. Pour the drink into the margarita glass. 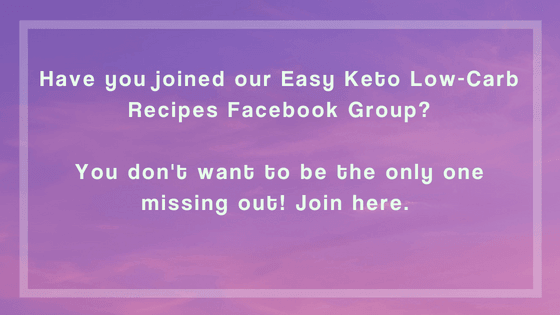 Good to know that there are Keto-friendly drinks that can also be fun and tasty. 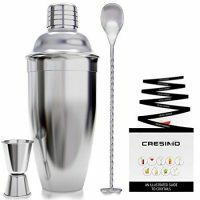 What a great idea for cutting the calories in one of my favorite cocktails. I’ll have to try ordering the tequila with club soda and a lime next time. 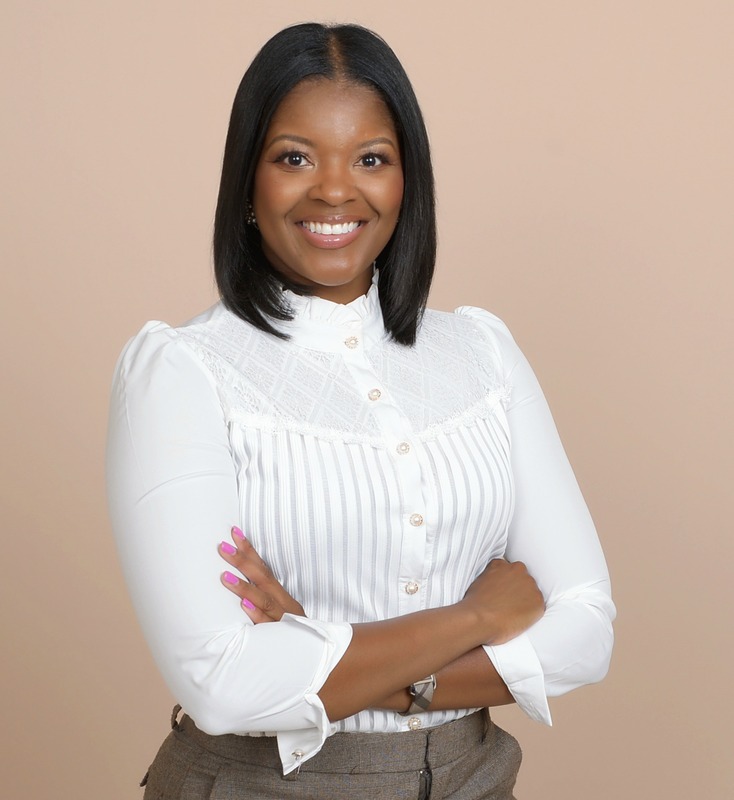 Interesting info on how alcohol affects weight loss. Thanks for the tips.